There is a lot of lip service about differentiation out there, but not a lot of actual true differentiation being implemented. 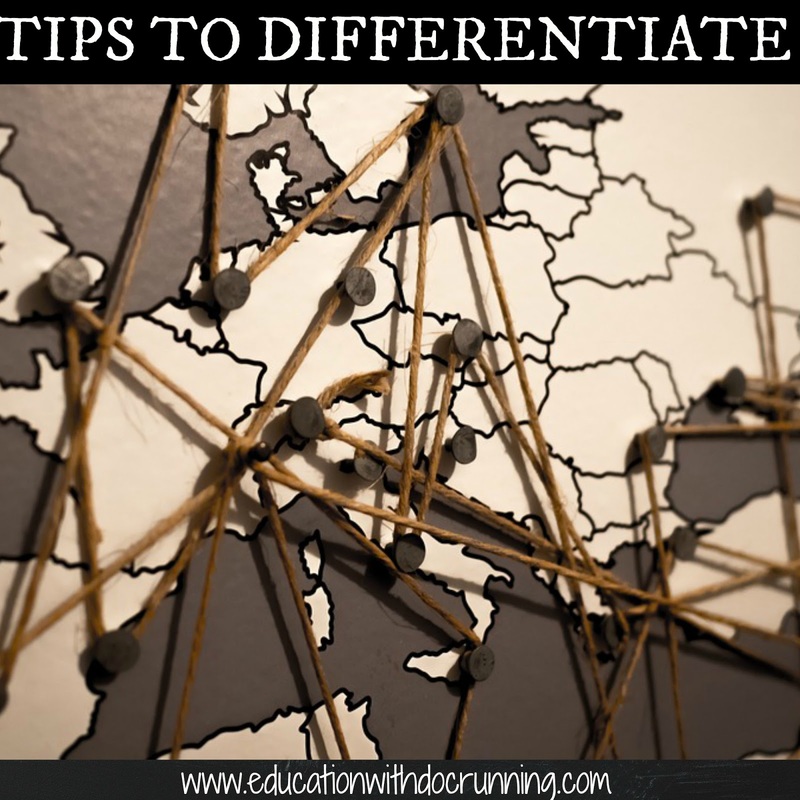 As a researcher, I see lots of classes in which differentiation equals extra worksheets. But if you read the research of scholars such as Carol Ann Tomlinson, you are aware that differentiation is about addressing students varied learning styles and interests. A tall order, indeed, but I tend to think it's doable. I thought I would share two of my favorite ways to differentiate in secondary social studies. 1. 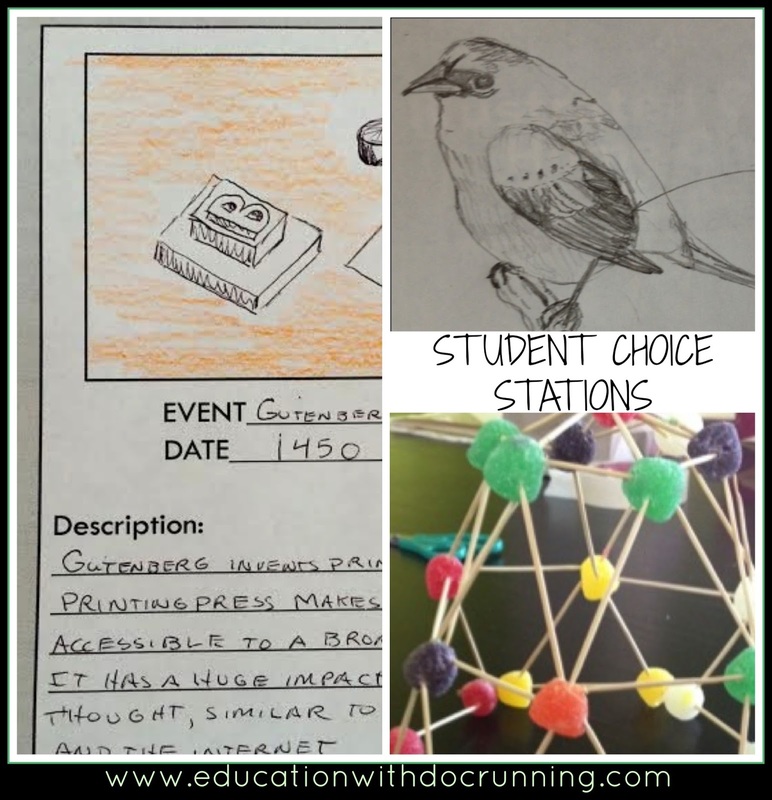 Differentiate activity centers or stations with a variety of options. For example when I teach the Renaissance, I might have dome building with Brunelleschi (kinesthetic, engineering problem), poetry with Petrarch (audio, rhyme scheme and writing), Michelangelo and the Sistine Chapel (visual, drawing and painting) and a Renaissance timeline (visual and kinesthetic, very open-ended for creative thinkers) all set up at the same time. 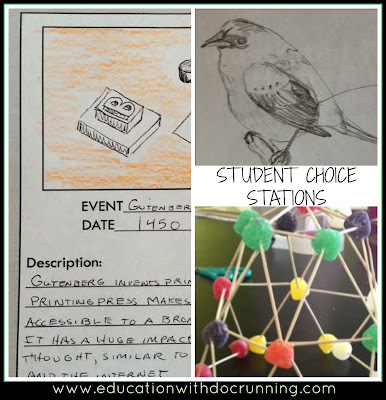 Students choose the activity(ies) they want to do. 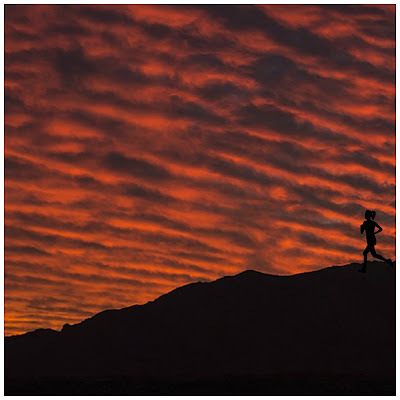 Some kids will dabble in several while others will immerse themselves in just one. Furthermore, each student is engaging in Renaissance-related activities and reflecting on common themes within the Renaissance. At the end of class we share in small groups our experiences and discover common themes. It's as if each student becomes a little bit of an expert. And, in terms of learning different pieces of knowledge, I reflect on what students need in terms of skills and big picture concepts, and try not to stress the little facts. 2. Open-ended projects. 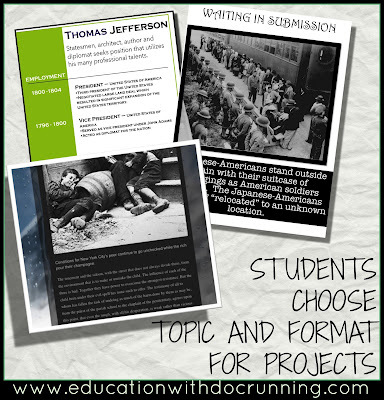 I like to give lots of choice in projects both in format and topic. As one student so aptly put it: "it's easy to be a good student when you are interested in what you are learning." I give lots of possible topics within a unit when we do projects and always give students the choice to generate their own topic. The more open-ended the better. For example two students chose Leonardo DaVinci for a Renaissance project. One student created a journal as Leonardo sharing his life. The other student investigated DaVinci's inventions and made connections with modern-day inventions. Students also select the format which might include comic books, essays, photo journals, blogs and more. There nearly is always some sort of written component, because I'm always thinking about skill development, but then beyond that students are fairly open. I find that the students are both more engaged and more creative when I set out the broad parameters and then let them go. I provide clear parameters as to expectations as well as materials to scaffold in the research and steps for each format of project. Do you differentiate? If so, how? Join the discussion in the comments below.